PHOTOS: Check out what's new on abc7news.com! 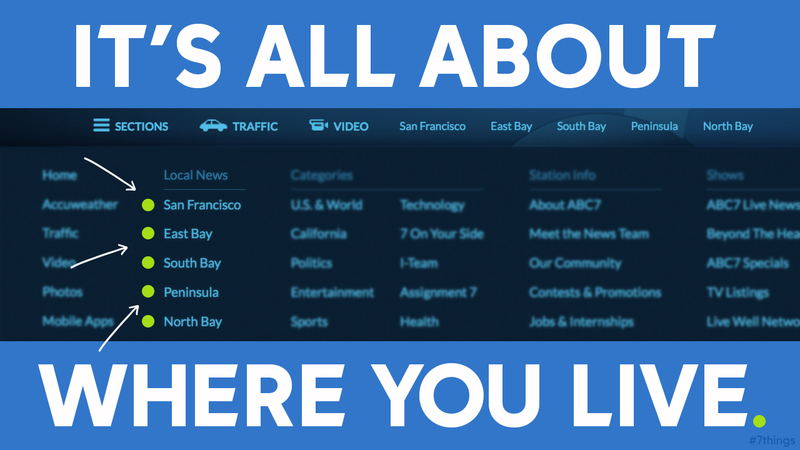 TAKE A TOUR: Check out what's new on abc7news.com! How do you get your news? How are you reading this right now? More and more often, it's happening on your mobile phone. In fact, our mobile audience has more than tripled in the last year alone! 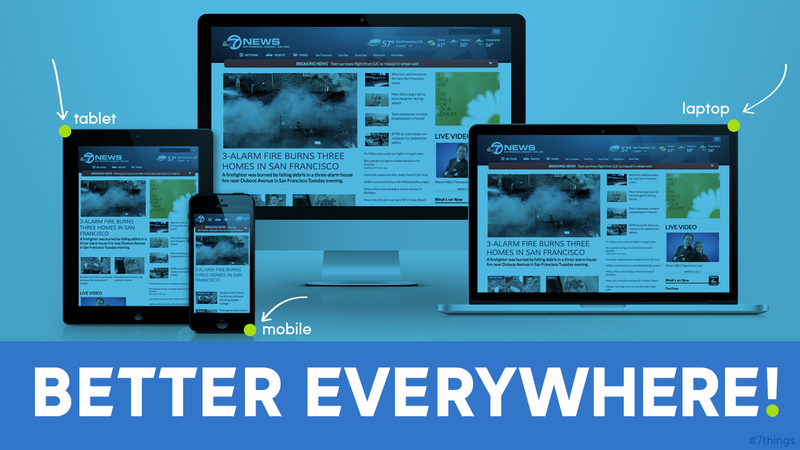 We heard it loud and clear from all of you -- our website needed to be mobile friendly. 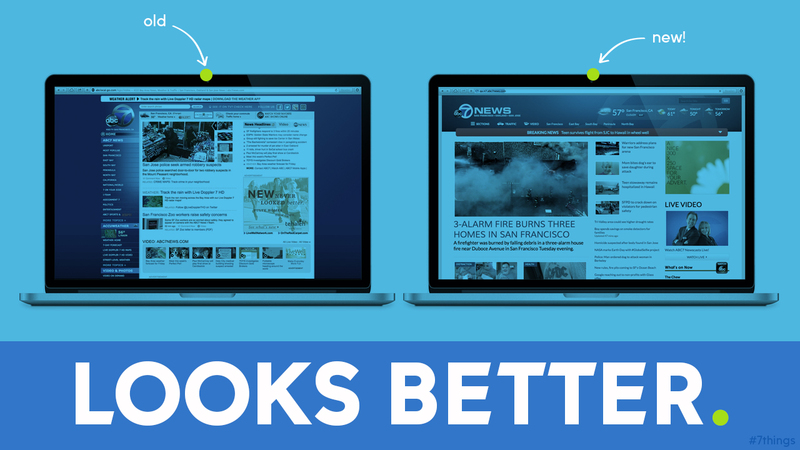 And that's exactly what we did with the improved abc7news.com. Never again will you have to pinch-and-zoom-and-squint when using your phone. And it was designed for mobile, but it still displays beautifully across almost any device. Whether you visit us on your phone, tablet, laptop or even your connected TV, you're going to have an awesome experience. 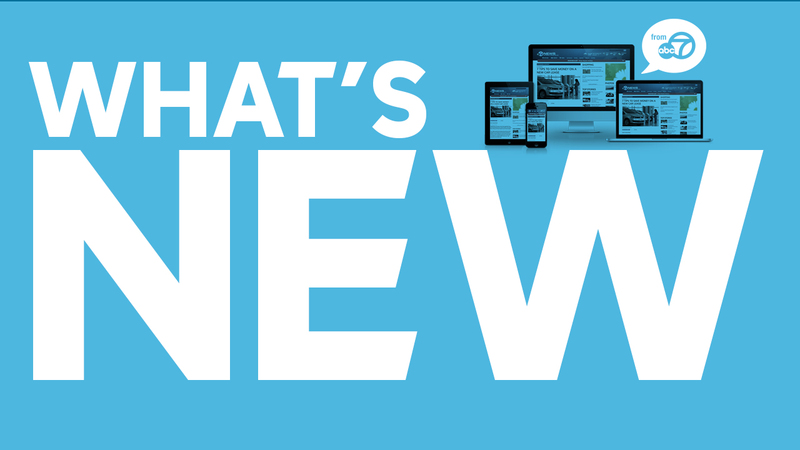 Our new site is also great for those of you who love getting your news on social media. 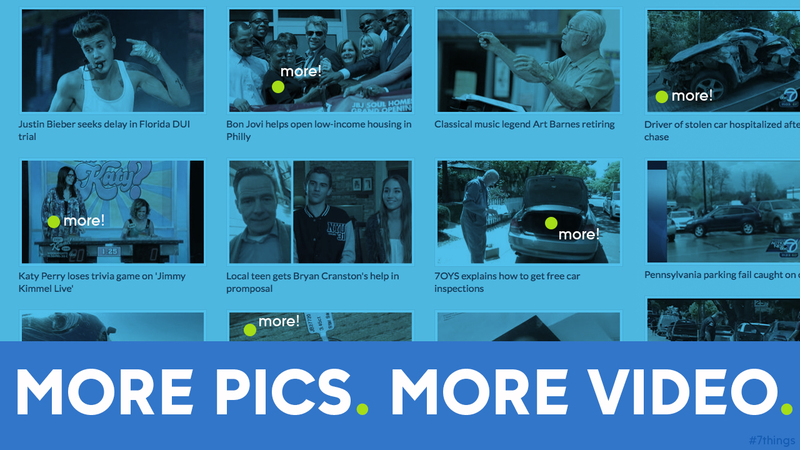 When you share a story you see on our site, all of your friends, regardless of what device they're using, will see what you want them to see. So, there's a lot of great stuff on the new abc7news.com. We spent more than a year building it and we listened to all of you every step of the way to make sure we deliver the experience you want. Let's start with the video -- gorgeous HD-quality video that plays back the moment you hit the play button. There's no more waiting for "buffering" or any such nonsense. Live video and video clips look great on our new site. Check out the clip below of the internet cat sensation Lil Bub eating a snack. Watch video of the adorbale Lil Bub enjoying a tasty treat! And you can always sign in and access WATCH ABC from our website. You can watch great shows like Good Morning America, Scandal, and even events like the NBA Finals LIVE! 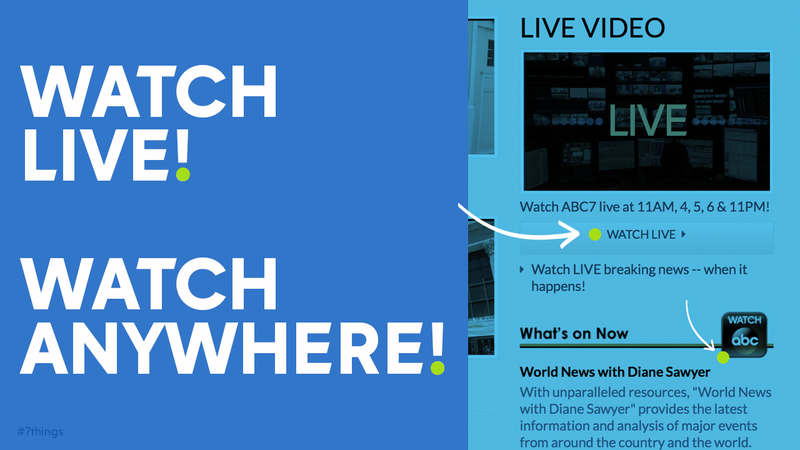 And of course, you can also watch our newscasts on our website. Bookmark abc7news.com/live on whatever device you prefer and you'll never miss a live newscast again. We know that when you're at work or in a crowded place, you can't always listen to video. So we've got you covered -- with our greatly improved photo galleries. When you click or tap the arrows in the top right corner, you can take it full screen. When you're on a mobile device, just swipe right through. Check out the gallery below to see how great is is! PHOTOS: New panda at SF Zoo finally has a name. 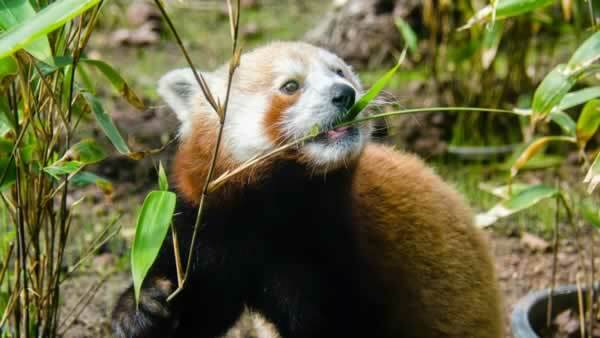 Zoo officials have revealed that the new 10-month-old male red panda will be named "Tenzing." Warning - he's adorable. So you can see the video and photos make the site pretty to look at. But we know we've got to do better than that! We haven't forgotten that we're your local news source. And with that in mind, our new site is about where you live. You can see it in our navigation, where you can drill down to the area that matters most to you. 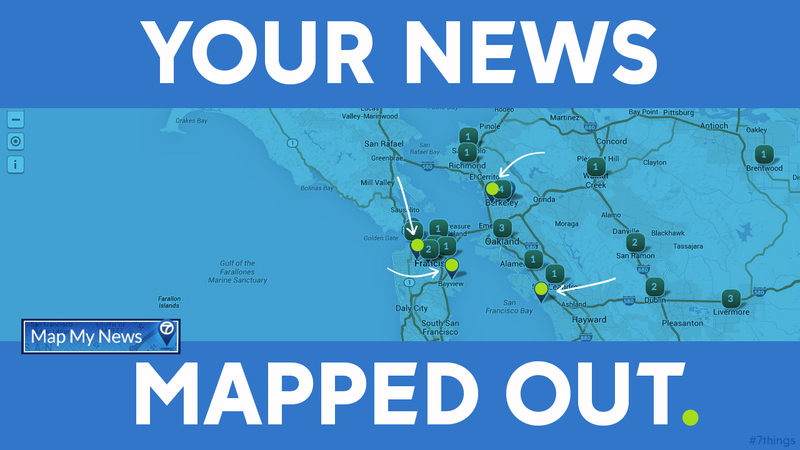 And we've taken that local focus even further with an innovative new feature called Map My News. This is really cool! Jump into the map and you'll see it populated with recent news. Click or tap on a pin and dive into more detail. You can even see tweets from our reporters in the field! This is a feature we're going to keep improving and we would love your feedback about what you'd like to see. Let's not forget about the weather! Hey, that's why most of you are here - you want to check the latest radar maps and watch the video forecast. Our weather page is better than ever, with a street level interactive radar map in addition to the radar images you already know and love. And again, it's a great experience on your mobile device. Bookmark abc7news.com/weather to stay on top of the weather! Finally, you know we're your home for breaking news and weather but that doesn't mean we don't enjoy the fun stuff, too! 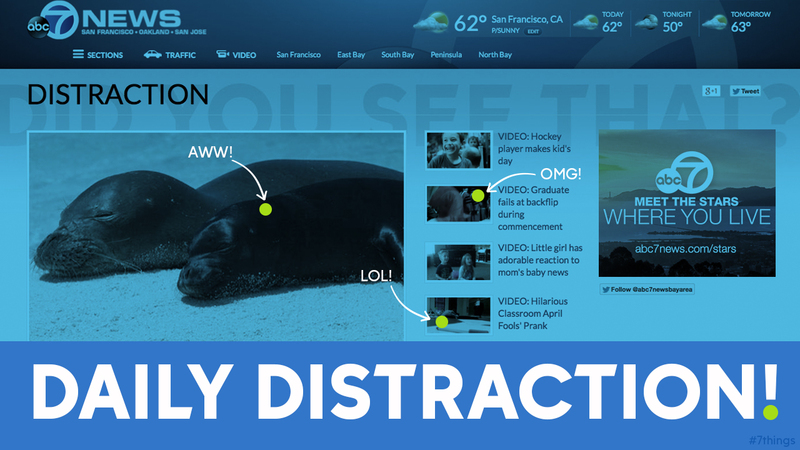 When you need a distraction from the day - a fun video, an awesome photo gallery or an interesting list - check out our "Distraction" section. These are the stories your friends are going to be sharing on social media tomorrow. Get ahead of the curve and share it first! This teacher's rule backfired in the most priceless way. So that's the new abc7news.com. But if you think we're done, we're not! This is only the beginning. We're going to be constantly working to improve the website and add great new features. Stay tuned because there's a lot of amazing stuff on the way! Let us know what you think in the comments below. This site is for you, and your feedback and ideas are what make it even better! Thanks for visiting abc7news.com.